The large cap stock shed all the gains it clocked in yesterday's trade and slipped 3.57% or 10.55 points to 284 level in afternoon trade on BSE. The stock opened higher at 297.80 today, hit intra day high of 298.15 in early trade and slipped into the red. The State Bank of India stock saw profit-booking in trade today after the lender reported its first profit in four quarters yesterday. Buoyed by a 39% fall in bad loan provisions year-on-year, the stock closed 3.45% or 9.85 points higher at 295 on the BSE. It was the top Sensex and Nifty gainer in trade yesterday. On Nifty, the stock surged 3.77% to 296.10 level. The stock touched an intra-day low of 284.30, down 3.73% from its previous close. The stock is down 13.48% during the last one year and has fallen 8.05% since the beginning of this year. 37 of 42 brokerages rate the stock "buy" or 'outperform', four "hold" and one "sell", according to analysts' recommendations tracked by Reuters. The lender reported 69 per cent decline in consolidated net profit to Rs 576.46 crore in the second quarter ended September 30 compared to Rs 1,840.43 crore net profit in the July-September quarter of previous fiscal. 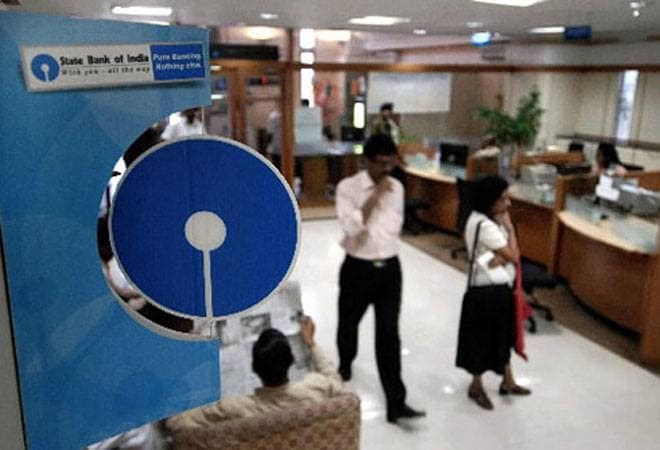 Its total income (consolidated) rose to Rs 79,302.72 crore in the quarter under review, compared to Rs 74,948.51 crore in the year-ago period, State Bank of India (SBI) said in a regulatory filing. Provisions for bad loans fell to Rs 10,184 crore in Q2 this fiscal compared to Rs 16,715 crore in the corresponding quarter of the previous fiscal. Bad loan additions slowed in the quarter, pushing the overall bad-loan ratio down. The bank's asset quality improved, with gross bad loans as a percentage of total loans at 9.95 percent at September-end, compared with 10.69 percent in the previous quarter. It was still slightly higher than 9.83 percent in the year-ago period. The bank also said it was on track to meet slippage ratio and credit cost guidance for FY19 and FY20.